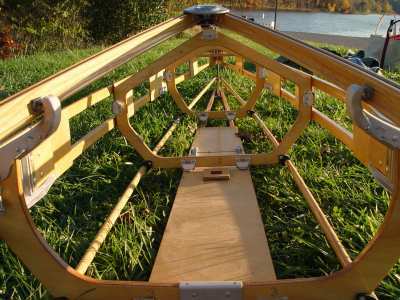 This is a bow view of the boat, with and without the hull fabric. 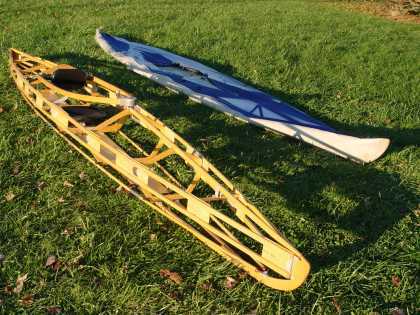 When fully assembled but uncovered, the frame is a work of artbeautiful yet fully functional. This shows the cockpit area of the boat, with and without the hull fabric. 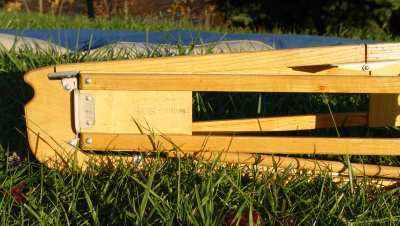 The frame is made of Mountain Ash and Finnish Birch plywood. These close-ups show the stern (left) and bow (right). 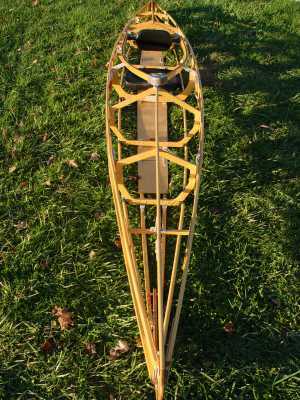 For ease of assembly, the parts clearly indicate "bow" or "stern" using either words or color. 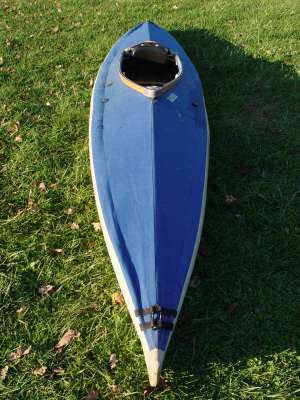 The bow pieces are color-coded red, the stern pieces are blue. 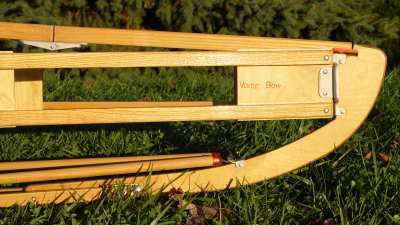 The words are given in English and German (bow is "Vorne", stern is "Hinten"). Interior view of the uncovered frame, looking aft from the cockpit. 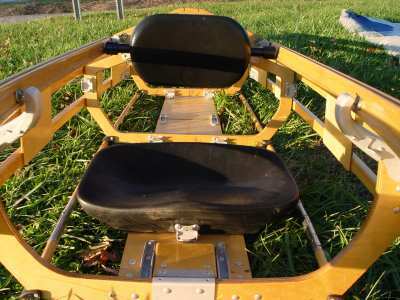 Interior view of the uncovered frame, looking forward from the cockpit. The uncovered frame and the hull.